It's just your face. : Day 17 HOLY CHIT! This morning I was woken by someone knocking on my door, now if you have a face that looks and acts like mine you know the state of panic and horror I was in having to answer the door without having looked in the mirror first. I was trying really hard to look down cover my face with my hair, it was ridiculous. So of course as soon as they left I ran to the mirror to see how bad I scared him and I was shocked. 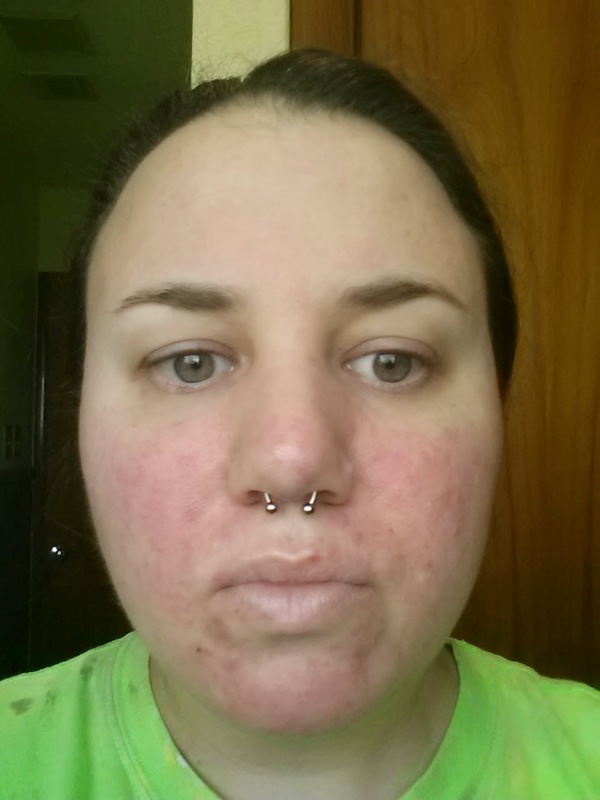 My face again had not a single pustule, not one AND my face was almost normal colored. 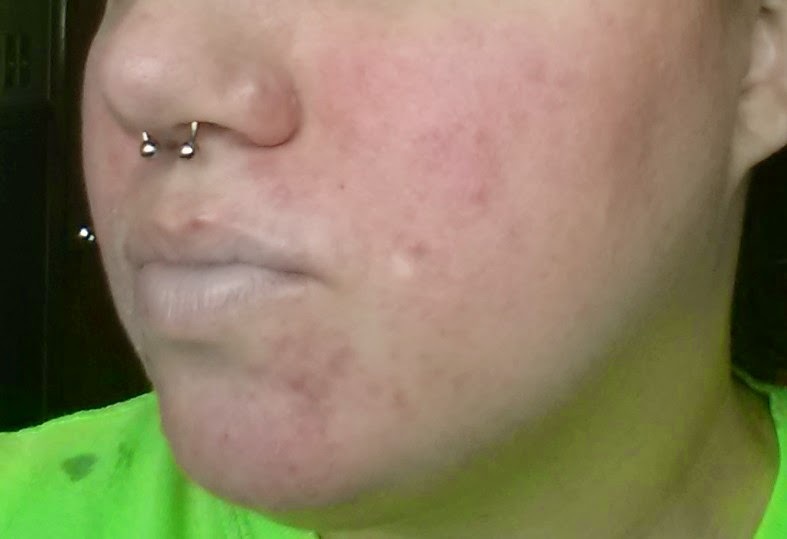 It has a slight pink tinge but I think that is because of the sulfur and maybe I need to dilute it a little more. The texture on my face is starting to smooth out, it's crazy. 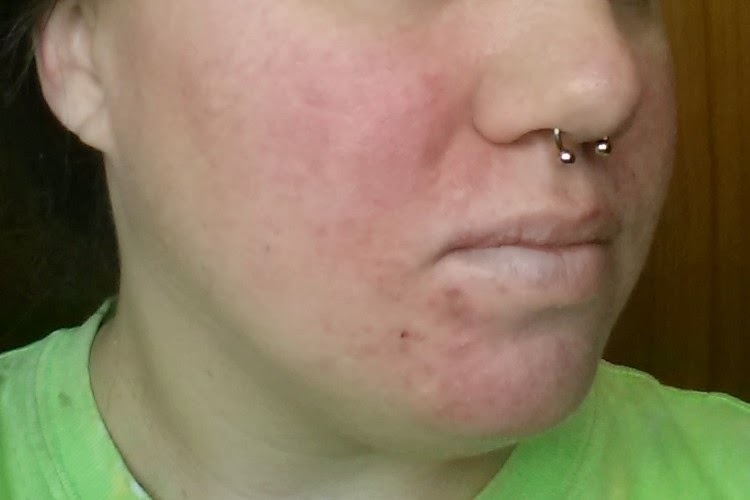 I don't want to get my hopes up just to wake up with it red and swollen and full of pustules again so I am just going to enjoy it day by day and be happy with how it looks today. 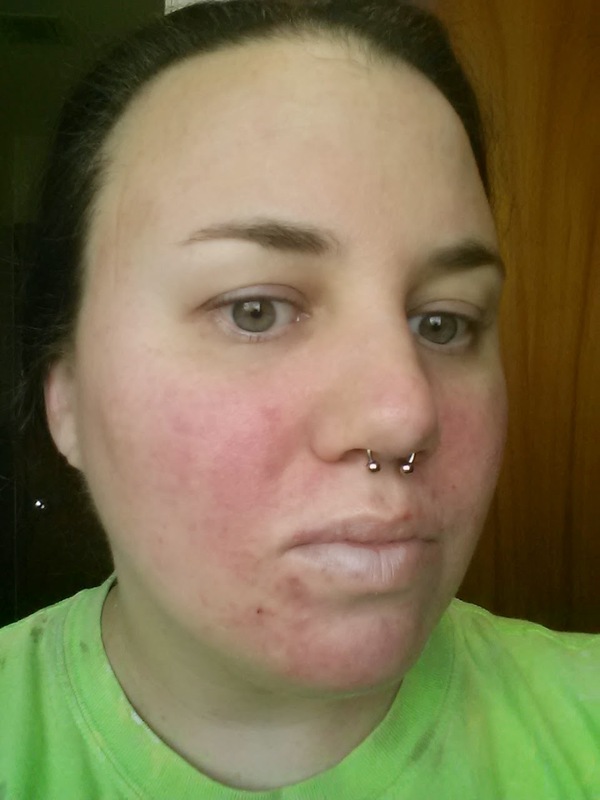 One thing is my face does still itch, I think it is because I need to dilute the sulfur more still. I itch the worst behind and right in front of my ears, my forehead and the back of my neck. 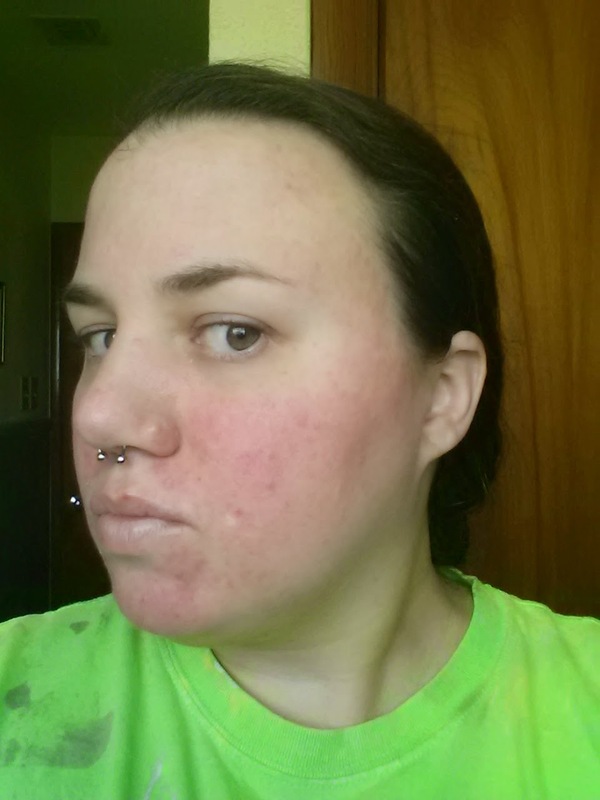 Also my face is dry and scaly but a little argan oil will fix that up. It really is sad that my whole mood for the day if effected by how my face looks in the mirror but it does. If I can keep it heading in this direction I should be in a pretty good mood for a while. Okay, on to the pictures.